NuMedica Total Vegan Protein Chocolate is a delicious blend of five plant proteins: pea, rice, hemp, chia, and cranberry. 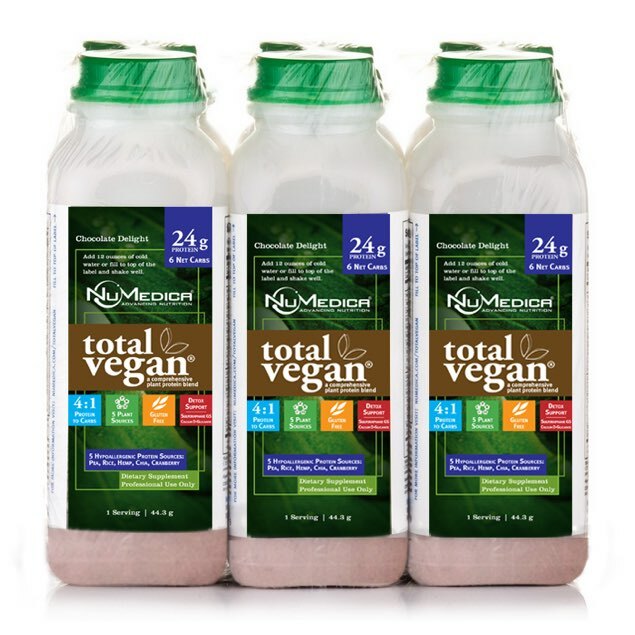 These hypoallergenic, vegan proteins are combined with healthful ingredients designed to support bone health and the immune system and can even enhance the digestive tract by improving the detoxification process. 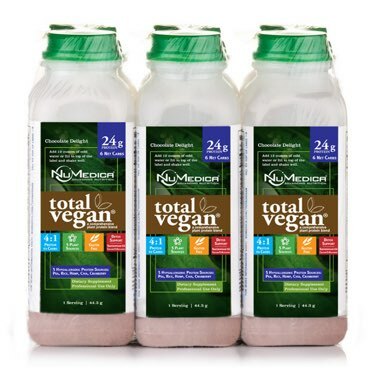 Total Vegan Protein (6-Pack) 1 Plastic Bottle 6 Add chilled water and shake.